If you love the taste of coffee but hate the hassle, we’ve got great news for you! Our collection of the top coffee vape juice flavors is packed to the brim with all the greats you know and love and so many just waiting for you to sample! As a group, coffee drinkers tend to value quality above all else. With this same focus on quality first, we have assembled the best and boldest coffee vape juice into one place for your convenience. For years, a cup of strong black coffee has helped to fuel the modern world. Along with a host of other hot drinks, our mornings and afternoons often revolve around a cup of that smooth, robust, coffee we all know and love. While black coffee certainly is a favorite, many of us enjoy the wide variety of complementary flavors that pair well with this timeless classic. More traditional flavors such as hazelnut and caramel are well represented in the coffee vape juice category. 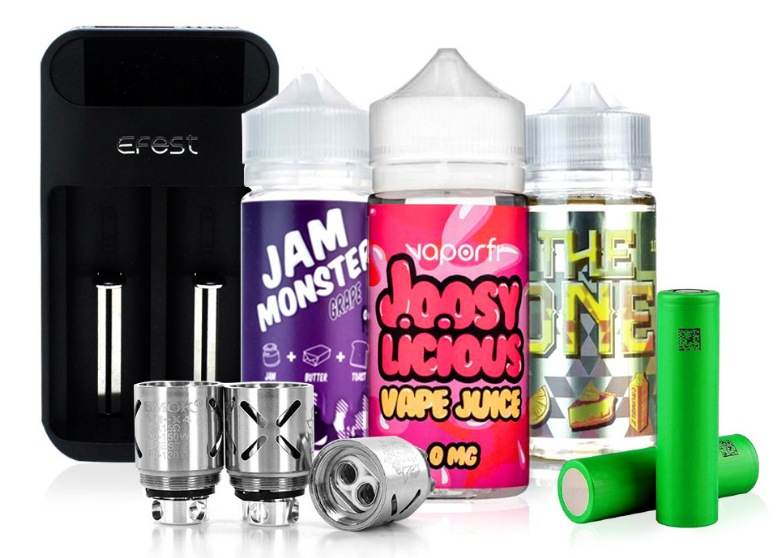 Thanks to the wonder of vape juice, we can also enjoy some of our own personal favorite combinations that incorporate flavors such as tobacco, pastry notes, and fruits. Havana Beach from the VaporFi GRND RSRV line showcases just how rich and complex a coffee vape can be. A rich mild tobacco note greets you on the inhale with a burst of hazelnut, and a dense caramel coffee finish sends you out on the exhale. This brilliant combination reminds us all how complex and glorious coffee vapes have become. Motley Brew has made a name for themselves by building quality coffee vape juice from the “ground up.” One of their finest, Brew’s Brothers brings a deluxe European Espresso together with subtle vanilla bean notes topped with thick, creamy caramel on the finish. Hints of refined tobacco help to bring the individual flavors to the forefront. This deliciously complex blend has long been a fan favorite and is sure to satisfy the most refined of palates. If you love Chai Lattes, you’ll love Tan from Beard Vape Co. The excellence that is Beard Vapes is well pronounced in this perfect Chai Latte. Aromatic, deep, and spicy, Tan brings a wondrous mix of cinnamon and spices together with a hint of honey to recreate your favorite coffee shop experience without the over-excited barista! For those who have tired of the typical flavor profiles that attract most vapers, coffee vape juice can be a great break from the routine. Offering new and robust flavor choices, coffee vapes tend to cater to those who love to sample and prefer a well-rounded collection of juices. A well-rounded aficionado will have at least a few coffee vapes to rely on, though sampling a new line can be exciting and fun. While this vape juice profile may not be as large and diverse as that of the fruits or desserts, coffee vapes have found a welcome home with many vapers thanks to their robust offerings and richness of flavor. Loyal fans have come to love and appreciate the unique and often more specialized group that is coffee, and we’re sure you will too! Finding quality coffee vape juice can be a challenge as the demand tends to outweigh the supply. Here at Direct Vapor, we take our coffee collection very seriously. With only the best coffee vapes on the market, we’re sure to have something you’re going to love. Quality often comes at a price, and we’ve worked hard to bring you the best-priced vape juice on the market. 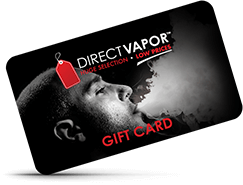 With so many great flavors to choose from, the best-kept secret in vaping is waiting for you!